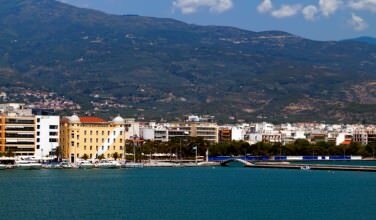 While the port town of Agios Nikolaos in Crete can be very much a resort town overflowing with tourists and cruise ships, there is plenty to see and do on the island besides swimming and sun. Here are a few things to check out on your trip to Agios Nikolaos. Even though Agios Nikolaos didn’t become a famous tourist destination until the 1970s, the town was built thousands of years back by a sect of the Ancient Greek known as the Dorians. With such a rich history of the town and surrounding areas, visitors will want to make a trip over to the Archaeological Museum. The Museum features a variety of Minoan artifacts and artworks. In fact the Archaeological Museum of Agios Nikolaos ranks second behind Heraklion’s Archaeological Museum for its collection of Minoan artifacts. Like many museums, the Archaeological Museum has a pièce de résistance. The Museum’s prized possession is a statue dating back to 2500 BC called the Goddess of Myrtos. The ceramic depicts a woman clutching a jug and was found down on the southeastern coast, on what was the Minoan settlement of Myrtos. Many visitors and critics alike have commented on the sculptures modern and contemporary styling, even though it is well over thousands of years old. Lake Voulismeni or “The Lake” as it is commonly called is a small pool just inside the harbor of Agios Nikolaos that is connected to the Sea of Crete by a very narrow canal. The Lake is the focal point of the town and it a popular destination for tourists thanks to its natural beauty its central location in the city. Alongside the Lake visitors will find numerous cafes and coffee shops that overlook the body of water. Additionally the Lake features a small park with walking trail and an amphitheater. Visiting the Lake is a treat for the eyes as multicolored fishing boats are often docked in the Lake. Tourists can see the local flora and fauna including ducks, vibrant green foliage, and natural red rock that surround the lake. The Lake originally was a freshwater lake fed by an underground river but became mixed when the canal was built in the 20th century. Popular legends about the Lake include one that it is bottomless (though proven to be over 200 feet deep), it was connected to the island of Santorini, and that it was the bath of the Greek Goddess of Athena. 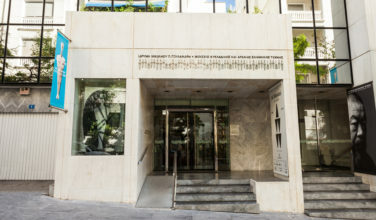 Built in 1985 by the Cultural Association of Eastern Crete, the Folk Museum takes residence on the first floor of the Port Authority building. This building is one of the oldest buildings in Agios Nikolaos and is located adjacent to the lake. Inside you’ll find Cretan handcrafts including weavings, textiles, and embroidered pieces. Additionally there are artifacts that were discovered across Crete and a model of a traditional Cretan house. Visitors are able to view the house as well as all of the amenities of the time including Cretan household goods and cooking tools and utensils.